Ann Berkas, age 88, died Monday, January 28, 2019 in Helena, MT. She is survived by two brothers, Joel (Bev) Bruse and Kendall Bruse, four children, Dean (Nancy) Berkas, Wayne (Tammy) Berkas, Dave (Cindy) Berkas, and Julie Wood, eight grandchildren, Erik (Jenny) Berkas, Kristin (Micah) Oines, Chris Berkas, Bryan Berkas, Kari Berkas, Kelsey (Nick) Leone, Abbey (Wes) Schramer, and Sam Wood, and ten great-grandchildren, Carmen, Cecelia and Luca Leone, Capri, Fiona, and Calvin Schramer, Aaron and Ethan Oines, and Evelyn and Oliver Berkas. She was preceded in death by her husband Roy Berkas, her parents Evert Bruse and Frieda (Cornelius Bruse) Fischer, and her brother Harold Bruse. 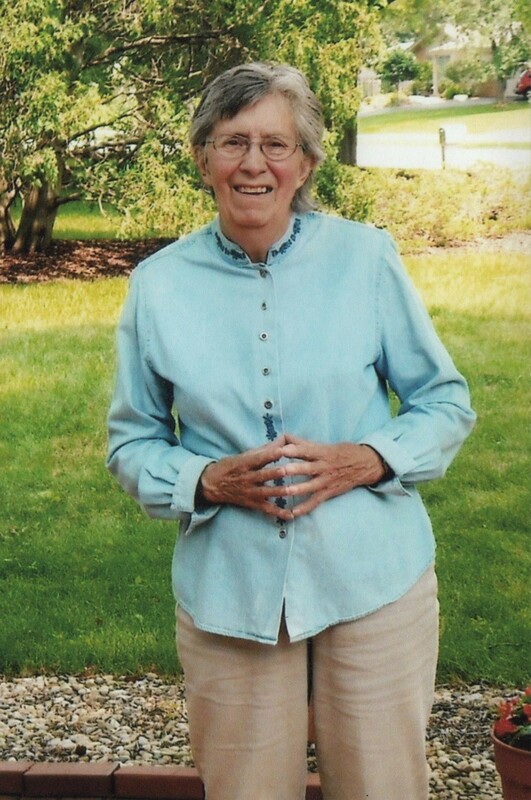 Ann was an energetic woman who was willing to help her family when called upon. She enjoyed visiting her children, grandchildren, and great-grandchildren and having them come spend time her. In order to accomplish this, she took many trips on Amtrak from Wisconsin to Montana and them on to Washington while she was in her 70’s and 80’s. She was an expert quilter who created numerous beautiful quilts through the years that she shared with family and friends. She enjoyed spending time in her gardens. And she was always willing to strike up a conversation with those she came in contact with. Interment will be at Glenview Memorial Cemetery, Ixonia, WI at a future date. Suggested memorials to honor Ann’s life are to the American Cancer Society and Juvenile Diabetes Association.